The year 2018 is full of new product launches and midlife facelifts from Maruti Suzuki. Maruti is all set to launch the most awaited 3rd generation Swift in the Indian market. The car has been unveiled and is already creates waves in the Indian auto community. The New Swift is all set to break records and create new benchmarks. Spy pics of the new Ertiga have also been doing rounds and is expected to be launched later this year. Year 2018 also awaits the unveiling of the refreshed Ciaz which has been previously launched in China, named Alivio. The updated front and rear end looks more modern and lends the car an elegant character. Maruti has been eager to launch its Creta rival: The Vitara in the Indian sub-continent and this year we might see the it hitting the showrooms. The Vitara is based on the XA Alpha concept, showcased in the 2012 Delhi Auto Expo, and will be launched with high expectations to stir the compact SUV segment and rebuild the Vitara brand. The New WagonR has also been caught testing near Maruti's Manesar plant in NCR and is expected to be showcased by the end of this year. The spy shots reveal a radical design shift from the earlier models of the car but retains the similar boxy silhouette. The New Swift gets LED DRLs with LED headlamps in the front with well sculpted bumper. It gets LED treatment in the taillights as well. The New Swift is powered by a 1.2L petrol and 1.3L diesel motor churning out 82bhp and 75bhp of power respectively. The New Swift is based on the new HEARTECT platform which underpins the Baleno and New Dzire. The platform is light-weight and has improved rigidity which results in better driveability and fuel efficiency. The New Swift is smaller in length by 10mm than the outgoing model but has improved interior space thanks to the 20mm increased wheelbase. The shoulder and knee room space has been bumped up and the New Swift no longer feels claustrophobic at the rear. For the first time Maruti Suzuki will be offering the automatic drivetrain AGS (Auto Gear Shift) with the New Swift for both petrol and diesel versions. The New Swift will be the highlight of the Auto Expo 2018 and is expected to land at showrooms by March end. Maruti Suzuki is also expected to launch the Hybrid and Sport Versions of the Swift, later this year or early next year, in India as well. The Swift Hybrid (SHVS) will be offered with the 1.2L naturally aspirated petrol motor and will return a fuel efficiency in excess of 32kmpl. The Swift Sport on the other hand is a pure petrol-head's machine with 143bhp power and 250Nm of torque coming from a turbocharged 1.4L Boosterjet petrol engine. We eagerly look forward to the Swift Sport as we Indians have been kept waiting for it since a long time. 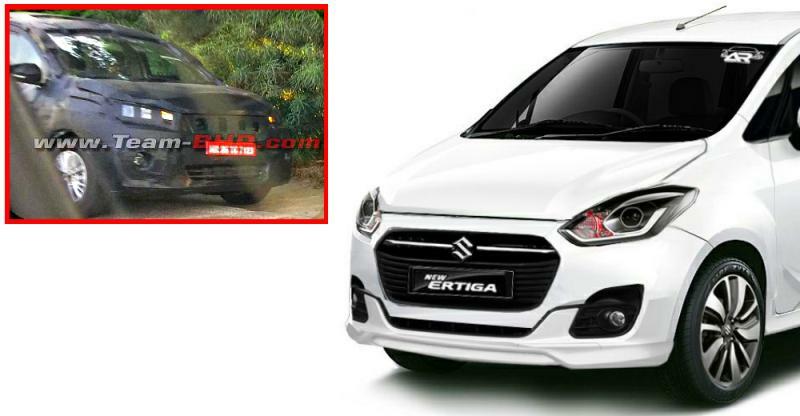 The New Ertiga, as per spy pics and renders, follows the same design language as the New Dzire and Swift. Ertiga had identical dashboard design and similar interiors to the 2nd gen Swift and Swift Dzire, so do expect a similar treatment this time around as well. The New Ertiga will be offered with the popular 1.3:L DDiS 200 diesel engine with Smart Hybrid technology and an all new 1.5L petrol mill. The new 1.5L is a 4-cylinder motor producing 100bhp of power and 133Nm of torque. 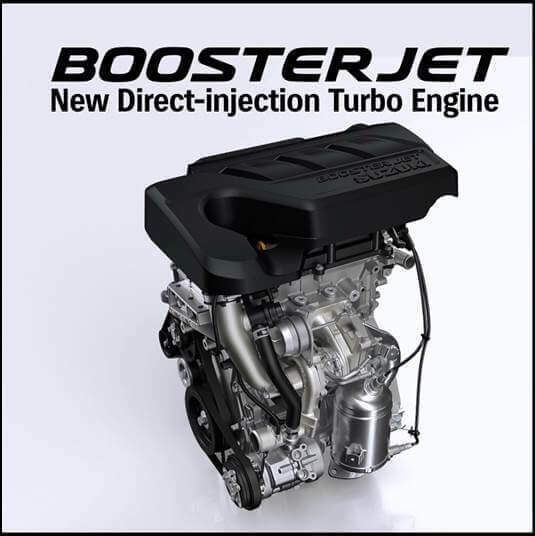 The new 1.5L petrol engine is expected to be tuned for good fuel efficiency without compromising on performance. Maruti's K-Series 1.4L naturally aspirated motor was a decent performer but felt under-powered and needed a change. Launched in 2012, Ertiga was branded as Life Utility Vehicle aka LUV and been a great performer for Maruti in terms of sales. Maruti gave a midlife update to the Ertiga in 2016 and offered the diesel with SHVS only. Ertiga is Maruti's second attempt in the MUV segment after the Versa and has been a successful offering. It offers the practicality of 7 seats and the third row can be flipped down to make way for extra boot space. Ertiga rivals the Honda Mobilio, Chevrolet Enjoy, Toyota Innova and Mahindra Xylo. 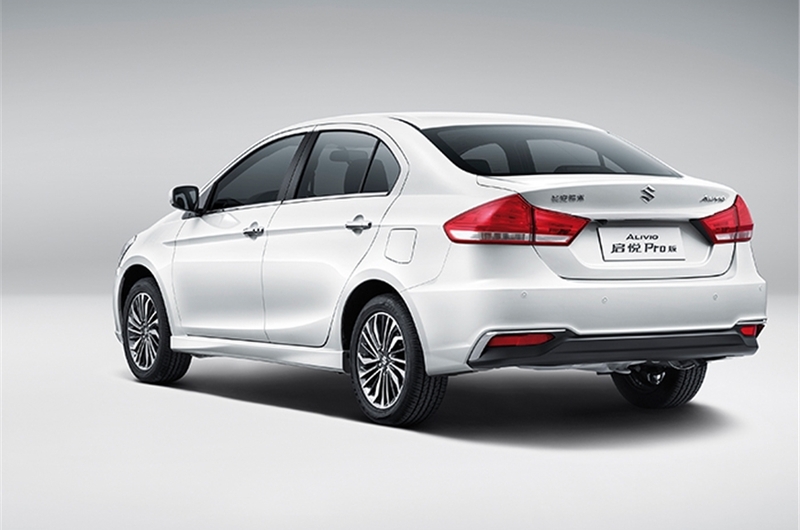 Maruti Suzuki also plans to launch the updated Ciaz in the middle of this year. Ciaz has enjoyed its fair share of dominance in the sedan segment in India and its only now that it has started to look dated amongst the new Hyundai Verna and the updated Honda City. The 1.3L SHVS diesel was a runaway success in the Ciaz and the sales sky-rocketed crossing the segment leader, Honda City, by a huge margin. 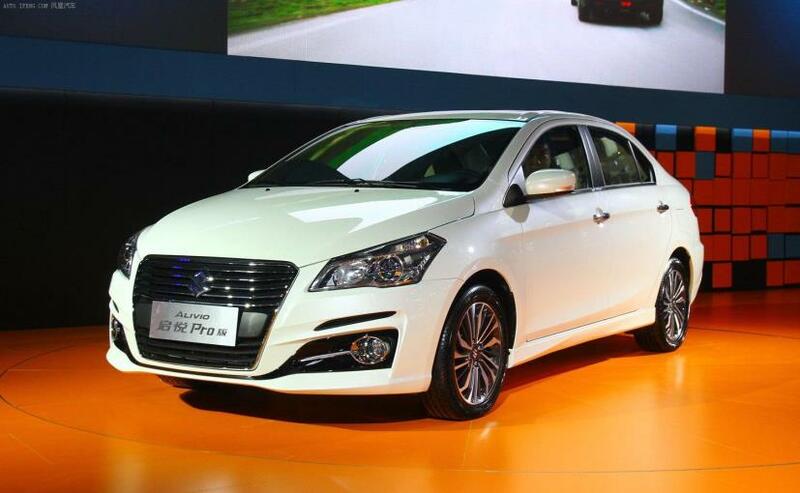 It enjoyed the huge tax benefits provided to hybrid vehicles under the FAME scheme by the government. However, post GST, the subsidy was removed and the prices increased by upto 2 lakh, which dented the sales of the Ciaz severely. In its current form the petrol Ciaz looks under powered on paper as compared to its main rivals - Hyundai Verna and Honda City. Maruti is expected to debut the new 1.5L 4-cylinder petrol motor with the updated Ciaz and will be available with an automatic gearbox option as well. It is also expected that Maruti has developed a brand new 1.5L diesel engine which might replace the Fiat sourced 1.3L oil burner. It will be interesting to see if the updated Ciaz is launched with 2 brand new engines. Ciaz is currently sold via Maruti's Nexa dealerships across India which aims to provide a customized and premium buying experience. We are sure to see some fireworks in the C-segment with the launch of the facelifted Ciaz in 2018. 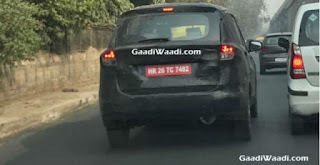 Spy shots of a testing mule of the New WagonR have surfaced which indicate a probable launch this year. 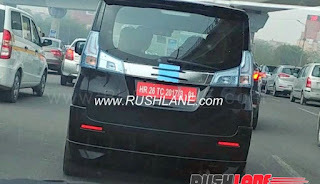 The pictures reveal a similar WagonR boxy structure but with completely different and radical approach towards design. WagonR has been constantly featuring in the the Top 10 charts in terms of monthly sales. Primarily sold to cab drivers, WagonR has enjoyed its fair share of importance in the sub-5lakh segment. We expect the New WagonR to be launched with the same K-Series 1L petrol engine in manual and AMT (AGS) gearbox, and a CNG option. Renault Duster was the first car to start the compact SUV segment in India and was a winner for Renault until Hyundai launched its Creta in 2015. Hyundai Creta's sales went smashing through the sales chart and the Korean compact SUV was pouring on the Indian streets. Maruti Suzuki launched the S-Cross in contention with the Creta but got caught in the inflated pricing. As a result Maruti Suzuki had to cut down the prices by upto 2 lakh on its 1.6L DDiS 320 but still it was unable to match or come close to the prowess of the Hyundai Creta. 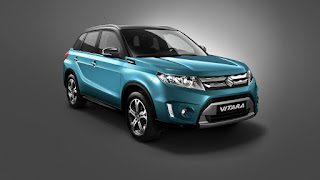 Maruti Suzuki now plans to launch the Vitara in India, targetted specifically for this segment. The Vitara is presently sold in the international market and is well rounded package. Going by the looks of the international Vitara we dont suspect Maruti to make any cosmetic downgrades for the Indian version. Maruti Suzuki Vitara has proper SUV styling and butch stance with DRLs in the front which will give the Hyundai Creta a tough competition. Maruti Suzuki is expected to launch the Vitara in the later half of this year. The international version of the Vitara comes with a variety of engine options - 1.6L Petrol, 1.6L Diesel and 1.4L Boosterjet Petrol. Along with these engines option the international Vitara also comes with Suzuki's AllGrip AWD. Maruti Suzuki could launch the AWD model early or mid next year and would make the Vitara a great package in the compact SUV segment. It will be interesting to see the engine options and drivetrains offered at the time of launch. Maruti Suzuki is all set to treat the Indian auto-enthusiasts in 2018 and we eagerly look forward to it.